The times have changed. But “sharing” is an idea we’ll never give up! It had been 10 years since we started Alishan. There was no internet yet. We set up Alishan stand at Music Festival in Fujino and at Christmas event at an American School. It was a place where we were able to meet up the friends who usually placed an order over the phone. We are now in the internet age. In 2001 we all got together and built this Alishan barn in Hidaka. Then we held a market there where we met Alishan customers and Tengu customers. We can now talk to each other in person internet casino. We can enjoy live music. We can even learn yoga. 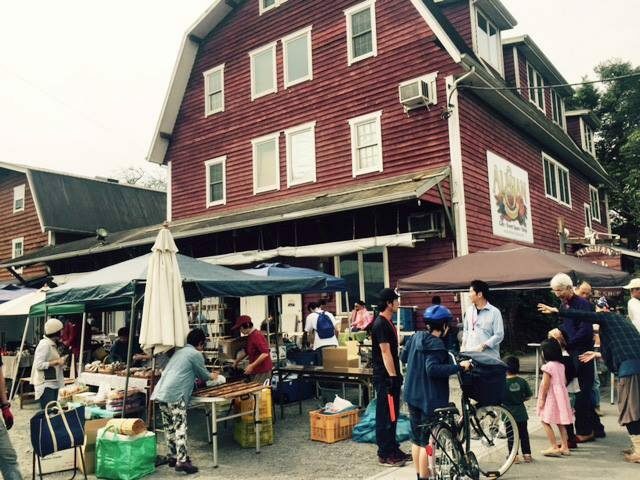 When we started Alishan Market Day, it was cozy and intimate. People appreciated this friendly atmosphere. Today all kinds of people join Alishan Market Day. Not only customers but business people, craftsmen, musicians, artists etc. The times have changed, but there is something that never changes: sharing beautiful landscape of Koma, good food, sunshine and peaceful atmosphere with your own people. That’s what Alishan Market Day is for. 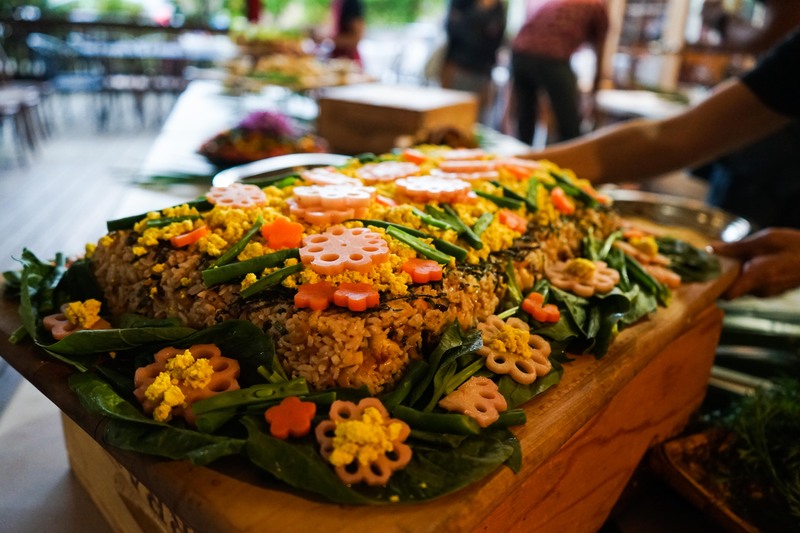 The party is held in the evening of Market Day for the exhibitors and Alishan staff. ( It’s a shame regular customers can’t join the party. But you can take a peek today.) 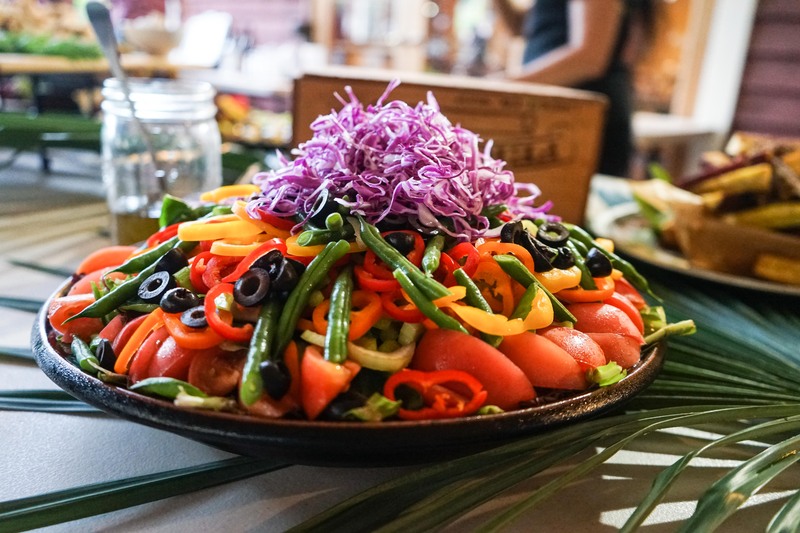 You can indulge yourself in colorful vegetarian dishes and Alishan desserts. All the dishes and desserts are homemade by Team Alishan led by Fay. You know what dishes Fay is good at? Believe me: when it comes to Taiwanese dishes, she is something.